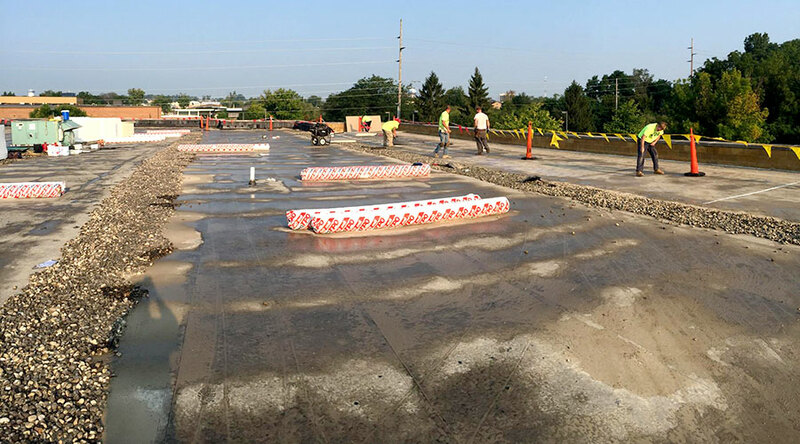 Maxim Roofing Co. is a full service Commercial, Industrial and Residential Roofing Contractor located in Fairborn, OH. Not sure whether you need to repair or completely replace your roof? Our courteous, friendly staff will be happy to work with you to help determine whether your roof needs to be replaced or simply repaired to provide the protection you need. Choosing a roofing company to help with your latest project is an important decision. Before you sign that contract, Maxim Roofing Co. recommends that you ask yourself these questions…. Does your roofer have experience with your type of roof? Maxim Roofing Co. has installed and repaired every type of roof, both residential and commercial. Shingles, single-ply flat roofs, metal standing seam roofs, gravel surface built up roofs, modified bitumen, gutters…we have extensive experience in every area. Is your roofer insured? Maxim Roofing Co. is! We are fully insured to protect our customers and we’ll be happy to provide copies of our policy. Does your roofer have Workers’ Compensation? Maxim Roofing Co. does! We protect both our customers and our employees. Does your roofer offer a guarantee that their work will stand the test of time? Maxim Roofing Co. does! Maxim Roofing Co. has 5 to 30 year NDL warranted options depending upon which type of roof system is being installed. Is your roofer a member of the Better Business Bureau? Maxim Roofing Co. is a member. We are also proud members of the Kettering/Moraine/Oakwood Chamber of Commerce, Beavercreek Chamber of Commerce, The Ohio Roofing Contractors Association (ORCA) and National Federation of Independent Business (NFIB). Maxim has also been awarded the Super Service Award through Angie’s List for 2009 – 2016. Does your roofer use quality materials? Maxim Roofing Co. does! Did you know that you can buy “seconds” in roofing shingles? Maxim uses only the finest roofing materials available, for both commercial and residential application. We are certified to install Firestone, Carlisle, Duro-Last, and Garland. Make sure you know what your roofer is installing! If you do happen to have a problem after installation or repair, will you be able to even find your roofer? 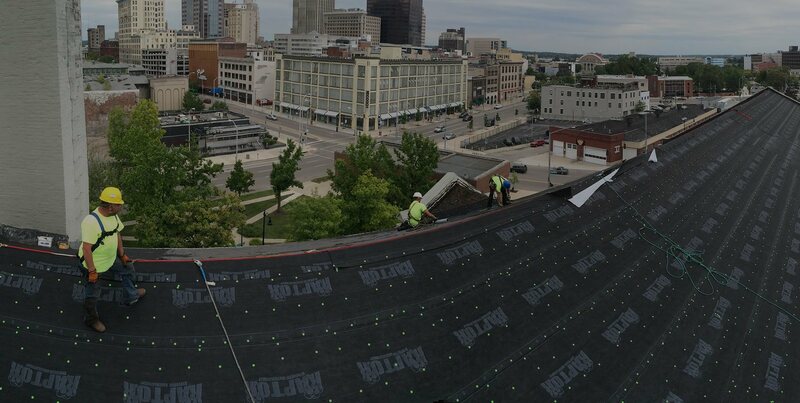 Maxim Roofing Co. was started in the Miami Valley in 1998 and the owner and his family have lived in the Dayton area all of their lives. Maxim Roofing Co. does not follow storms around the country. If you have a problem, Maxim Roofing Co. will be here. Time to update your roof? We are happy to help you save energy costs, add skylights, new daylighting systems and more! Maxim Roofing is honored to have received the Super Service Award from Angie’s List for our 8th year in a row. 2009, 2010, 2011, 2012, 2013, 2014, 2015 and 2016. We are very grateful for the opportunity to provide our customers with top quality materials, workmanship and customer service.